Either way, it’s a $100 shirt. Maybe it’s nice, but it had better be for $100. I don’t know the term for this type of marketing, but it’s so common we almost expect it wherever we go. Like most suggestions or placebos, they still work when we’re aware of them too, which is pretty funny. There are a lot of stores with big floor plans (and wealthy CEOs) that are experts at doing this kind of thing. We LOVE buying things this way. Telescopes and their accessories are no different. As with everything, there are many ways to market a product, but plenty of astronomical equipment makers enjoy this kind of value-perception catalyzing. 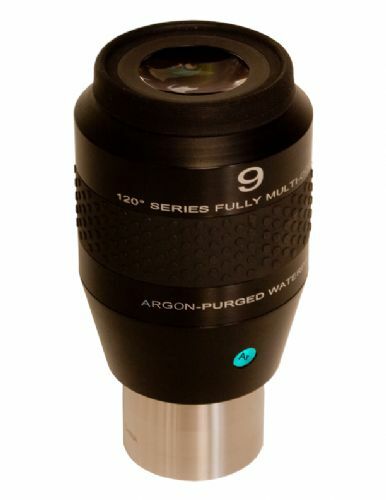 My example of the day is a soon to be released Explore Scientific 9mm 120º 2″ Argon Purged Waterproof Eyepiece. Wow, I wasn't sure at first, but now all my reservations Argon. If you read the description, this very premium eyepiece certainly seems to have a lot of thought put into it. 120° is quite a FOV and who wants fogging or fungus in their eyepiece? NOT ME! Owning a couple of ES eyepieces, I have no doubt that this will be a very nice thing. They don’t skimp on construction and the people who buy this will love it. They had better, after all.